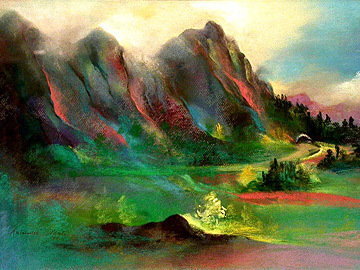 St. Francis Healthcare Foundation is putting a selection of art work up for bid, including Antoinette Martin's "Koolau Mountains," above, and Jean Charlot's "Rest and Work." The pieces also comprise works by Ben Norris, Edward Stasack, Harue McVay, Juliette May Fraser and Peggy Chun. They had been displayed at the St. Francis medical centers. The auction will take place at 10 a.m. Saturday at McClain Auctions, 1 King St. (park in the Macy's garage); preview viewing is from noon to 6 p.m. Friday. Proceeds will benefit a new hospice center in east Oahu. Call 596-3900 or visit www.mcclainauctions.com. Donations of art are welcome for the auction; call 547-6877. Try your hand at winemaking on Friday at Morton's the Steakhouse, at a wine-blending seminar hosted by Napa Valley's Franciscan Oakville Estate vineyards. Alan Suzuki of Icon Estates, part of the Franciscan portfolio, will demonstrate the process of blending different grapes into a single wine. Pipettes for blending, record sheets and the varietals (cabernet sauvignon, merlot, cabernet franc, malbec and petit verdot) will be provided. One blend will be selected as the evening's champion, with everyone in the winning group taking home a $50 Morton's gift certificate. The seminar runs from 6 to 7:30 p.m. Cost is $45, which includes a glass of Franciscan chardonnay and appetizers of petite filet mignon sandwiches, miniature crab cakes, fruits and cheeses. » Food writer Anthony Chang of the Chinese Chamber of Commerce leads a tour at 10 a.m. Saturday, covering food courts, noodle houses and factories, specialty meat markets, dimsum parlors, manapua shops, preserved-seed centers, tea stands, restaurants, bakeries and refreshment stalls. Cost is $20, which includes a dimsum brunch. Meet at Louis Pohl Gallery. Limited to 16 participants. Call 521-1812. » Walter Rhee of the University of Hawaii Food Science Department offers "A Cook's Tour," 8:30 to 10:30 a.m. Saturdays; $15. He also leads "Honolulu's Best Unexplored Asian Restaurants" tour, 11:30 a.m. to 2:30 p.m. Saturdays; $59. Meet at the corner of King and Smith streets. Pay fees in cash on meeting date. E-mail reservations to eat_hawaii@yahoo.com or call 391-1550. 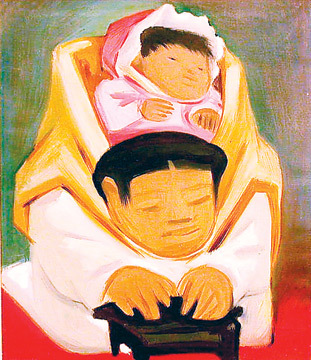 » St. Francis Healthcare Foundation is offering a selection of artwork at auction on Saturday. An article on Page D6 yesterday misspelled the name of the foundation. For information on the auction, call 596-3900.